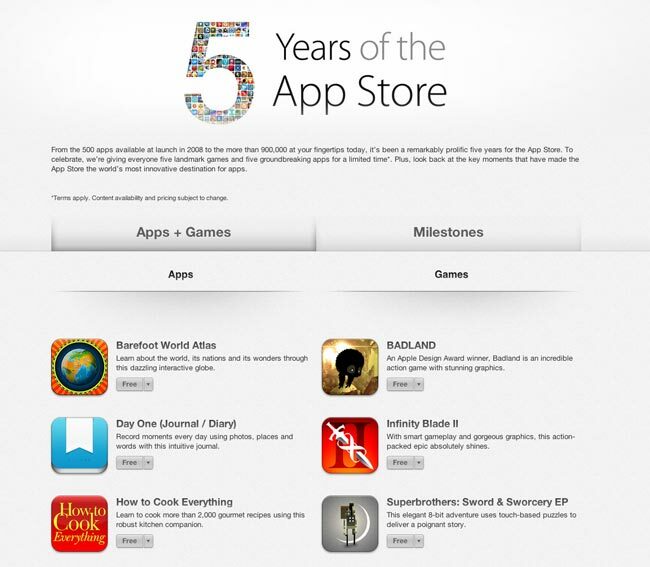 Five years ago today Apple launched their app store, and the app store has been a huge success for Apple. There are now more than 900,000 apps available to download from the app store. Over the past five years more than 50 billion apps have been downloaded to the app store, and Apple has paid out more than $10 billion to developers. To celebrate the app store’s fifth anniversary, Apple are giving away some of the most popular apps for free, and it includes games like Infinity Blade II, Where’s my water and more. You can see more details on all of the free apps in the app store for the fifth anniversary celebration over at the Apple.